Building on their partnership, AXS TV and KMG Networks -- a division of Krantz Media Group -- have announced today that KMG Networks will continue to expand the reach of AXS TV's popular series "The Big Interview," hosted by Dan Rather, distributing additional episodes to radio outlets across the U.S. Advertising sales will be handled by Westwood One. As part of the agreement, stations will receive an audio version of the archived AXS TV series in addition to a corresponding video segment, which stations may post on their websites, mobile apps, and social media channels. Radio stations will also receive customized promotional liners and promos from newsman and series host Dan Rather. This year's guest list features music icons such as The Doobie Brothers, Geddy Lee, Steve Miller, Peter Frampton, Lindsey Buckingham, Robert Plant, John Mellencamp, Ringo Starr, surviving members of The Doors, Lynyrd Skynyrd and Kansas. "AXS TV is proud to announce the continuation of our audio partnership with KMG Networks," said AXS TV COO Jeff Cuban. "For seven seasons, ‘The Big Interview' has been an integral part of AXS TV's programming lineup, resonating with our viewers for its unparalleled honesty, candor, and insight into the lives and careers of some of the most influential entertainers of all time. We are excited to have the opportunity to share this incredible show with even more people across the country." "We are extremely excited to work with AXS TV and Westwood One to bring Dan Rather and these amazing interviews to radio and podcast listeners across the United States," said KMG Founder & CEO Gary Krantz. "Season One was a hit, primarily because there simply is no other interviewer with the respect, credibility, and gravitas of Dan Rather. These interviews are highly compelling because they are recent and reflect back on their legacy. This series continues KMG's position as bringing "best in brand" content to the industry." 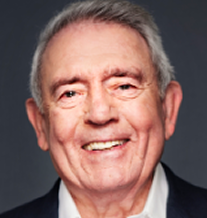 "Dan Rather is in a league of his own as an iconic journalist and newsman, so pairing him with iconic musicians makes perfect sense," added Westwood One's COO Charles Steinhauer. "Dan asks the big questions and shares the stories of these legendary artists. It's pure interview gold, and we're excited to offer this captivating content to advertisers and brand marketers."